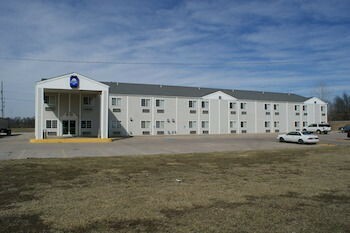 Property Location Located in New Florence, America&apos;s Best Value Inn is in a rural location and within the vicinity of New Florence United Methodist Church and Stone Hill Winery. This motel is within the vicinity of Graham Cave State Park.Rooms Make yourself at home in one of the 41 guestrooms. Complimentary wireless Internet access keeps you connected, and cable programming is available for your entertainment. Conveniences include safes, as well as phones with free local calls.Rec, Spa, Premium Amenities Make use of convenient amenities such as complimentary wireless Internet access, a television in the lobby, and tour/ticket assistance.Dining A complimentary continental breakfast is served daily.Business, Other Amenities Free self parking is available onsite.